The docking station includes 4 pads so that it can either be conveniently placed on any flat surface or wall-mounted on a vertical wall with an available mounting bracket. It also features air vents and a fan-equipped internal motherboard to prevent any downtime due to overheating. The dual protection on the output is designed to protect connected devices against overloading, support overload voltage and instantaneous current protection. 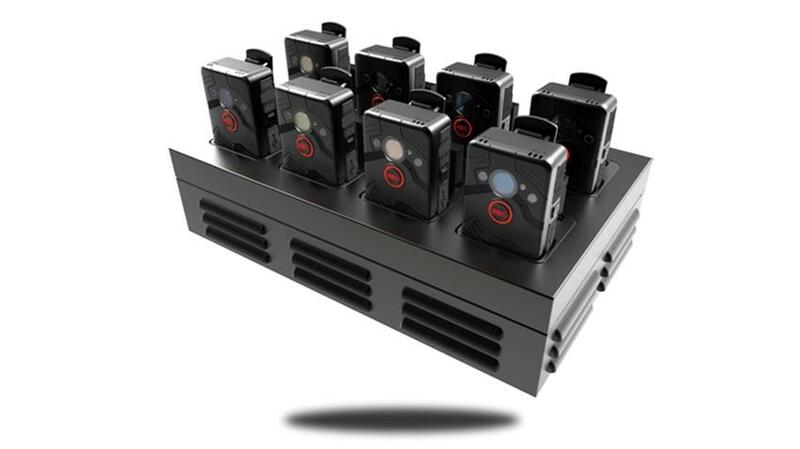 Up to 2.0A self-adaption current for each individual unit station and a total capacity of 120W make this Docking Station a fast and powerful home for your department’s Police Body Cameras.